The U.S. Supreme Court recently ruled that the First Amendment prohibits states from turning pro-life pregnancy clinics into government mouthpieces required to convey a state’s preferred message about abortion. 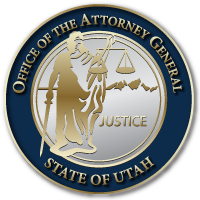 Utah supports this decision, along with 20 other states who filed an amicus brief urging the Supreme Court to protect the clinics’ First Amendment rights. It is a significant win. It all started in 2015 when California passed the Reproductive FACT Act. The legislation, an acronym for Freedom, Accountability, Comprehensive Care, and Transparency, required two types of crisis pregnancy clinics – unlicensed and licensed – to post certain kinds of notices. Unlicensed crisis pregnancy centers had to disclose to their clients that they are not a licensed medical facility and have no licensed medical provider on staff. Licensed clinics that do not provide a full range of reproductive services had to post a sign informing clients that the State provides free or low-cost access to prenatal care, birth control, and other reproductive services, including abortion. Most crisis-pregnancy centers are faith-based and pro-life. As a result, the FACT Act would require them to disseminate a message about practices they oppose. The states’ amicus brief opposed this requirement. No other medical facility is required to inform its clients about services provided by other facilities. The Supreme Court ruled that the FACT Act likely violates the First Amendment because the Act requires the clinics to speak a particular message that is not their own and therefore alters the content of their speech. This becomes an act of forced speech, since promoting alternative services, including abortion, would be a violation of their beliefs. Not only is the government not allowed to ban speech, it isn’t allowed to tell you what to say either. For more documents, and information, check out SCOTUSblog. This entry was posted in Recent Posts and tagged First Amendment, SCOTUS on July 18, 2018 .